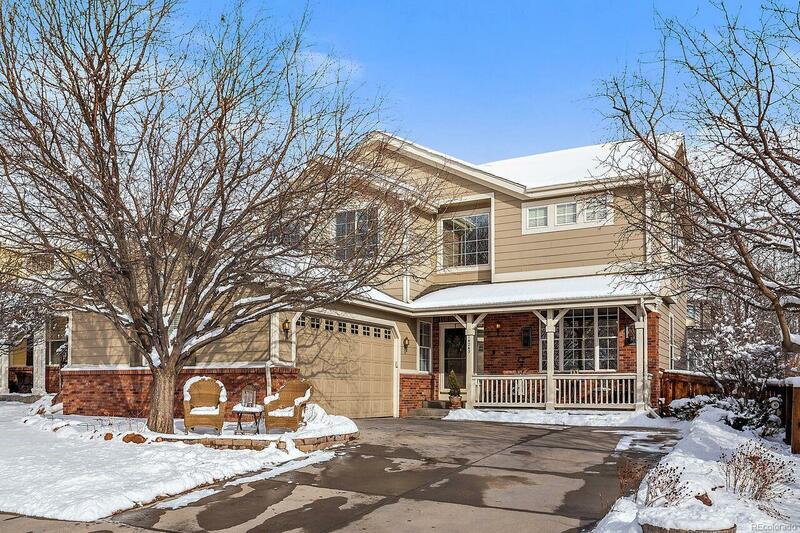 This spectacular Broadlands home has been meticulously maintained and is loaded with fine features and quality upgrades. You will love the spacious and open floor plan that is flooded with natural light through the large windows. This amazing home features a large gourmet kitchen with slab granite counters, Travertine subway tile backs-splash, upgraded stainless steel appliances and extended hardwood floors throughout the main level. The family room is amazing with a gas fireplace and plenty of room for the family. The main floor is complete with a formal living and dining room, study, convenient laundry room and a guest bathroom. The upper level features a luxurious master suite with a remodeled en suite, three additional bedrooms and a full bathroom. The basement has been finished to add a huge recreation room, bathroom and kid's cubby area. This amazing home sits on a large professionally landscaped and park-like yard with a pergola and much more. Newer furnace, A.C. and cul-de-sac!